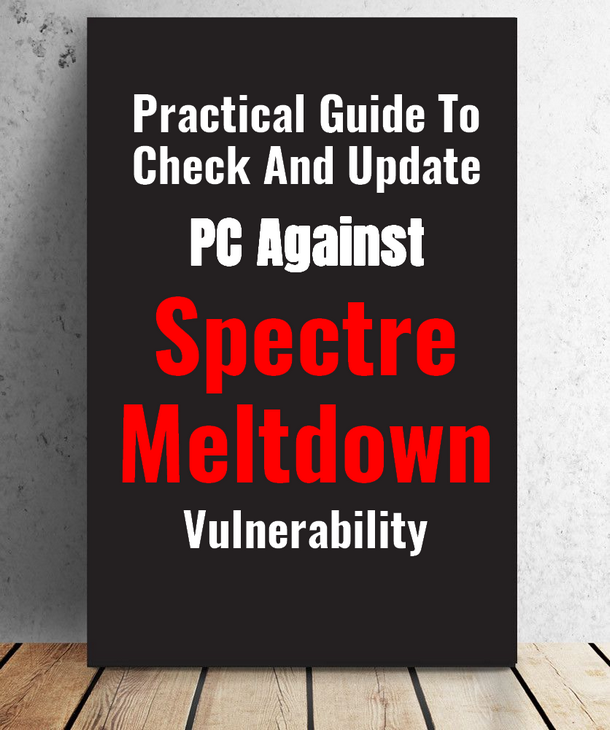 The web is full of Spectre and Meltdown vulnerability discussion. It's too confusing for most. 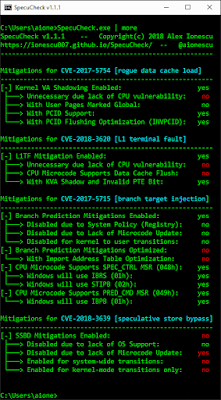 Just to keep track of with the view of a noob like me, I have created this post to understand the sequence of events, who is vulnerable, how to patch, how to check if I am secured, and the impact of patch update on my basic machine. Read your own. I am not that expert. The Wikipedia pages for Meltdown and Spectre. Almost everyone. Intel, AMD, ARM. Windows, Linux, and Mac OS. Android too. Tell me exact names of the Intel family of processors! 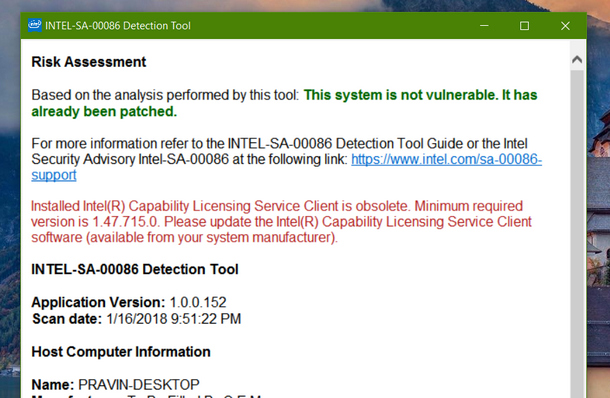 So if your PC has any of the bellow listed Intel chip, you should try to update. What about AMD? Here is the official statement. In short, Google Project Zero (GPZ) Variant 1 (Bounds Check Bypass or Spectre) is applicable to AMD processors. Also, the list of ARM processors affected. So Who is really affected? Is my machine affected? If you don't want to go through all this list, just use a tool from Intel or GRC. Check your self. Run the tool. If your system needs an update, the tool will tell you. One more detailed scanner from Gibson Research Corporation can tell you in details about Operating System updates and firmware. 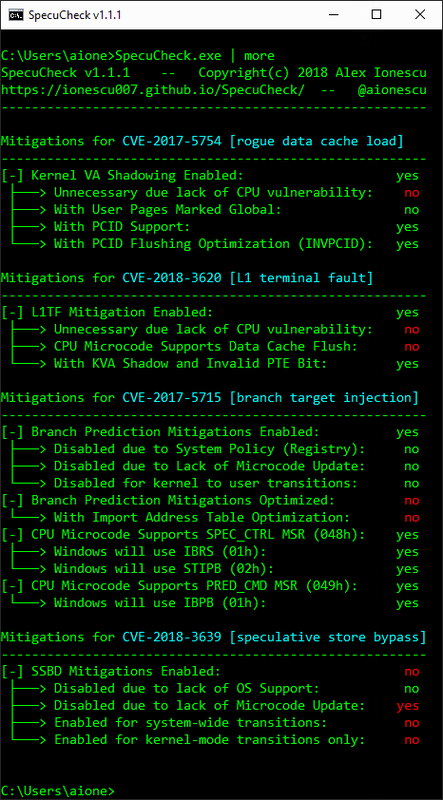 Download the InSpectre: Check Spectre and Meltdown Prevention. This tool will give details about both. The BIOS update, the Intel firmware update, and the Operating system update. Many researchers and bloggers have already performed many benchmarks. But few real-world benchmarks by TechSpot will give you a good idea of what actually you are going to hit with. If you are a Windows 10 user, check this benchmark for Windows 10 also. The more technical insight of performance hit from Intel testings. So, I am in the same boat! What to do now? As obvious, Update. Update your motherboard BIOS, Microcode, and the OS. Microsoft and Apple and Linux community have already released the patch. You just have to make sure you get the update. Apple also released updates for Mac OS 10.13.2 and iOS 11.2.2. The procedure to update the motherboard firmware is different as per the manufacturer. Almost every motherboard vendor has already released the update. You have to download and run the updater. ➧ The exact model of your motherboard. Flashing the wrong firmware may make it not usable. ➧ Sure power supply. Failing the update in between also damage your hardware. ➧ You can use the software like CPU-Z to find out the motherboard model or just open the PC case and read aloud. Also, to find out version of BIOS, you can use the same software, motherboard tab or 'Run' the 'dxdiag' command. ➧ Once you find out the motherboard model, download the update file and follow the instruction from the respective vendor. ➧ Boot into BIOS or UEFI. Flash the downloaded file. Restart your PC and you are done. ➧ Do not confuse between microcode update and firmware update. Microcode update is delivered by the firmware update. So once you update the motherboard update, you are actually updating the microcode. BIOS update is a different story. Visit the pages as per your motherboard vendor to download the update file and run it. After you complete the procedure, check with the tool you mentioned above. Intel has released the microcode update for users of all flavors of Linux, Chromium OS. Update your system with latest operating system and the firmware from Intel and your motherboard manufacturer. That is the only thing you can do right now. SpecuCheck is a command based tool. 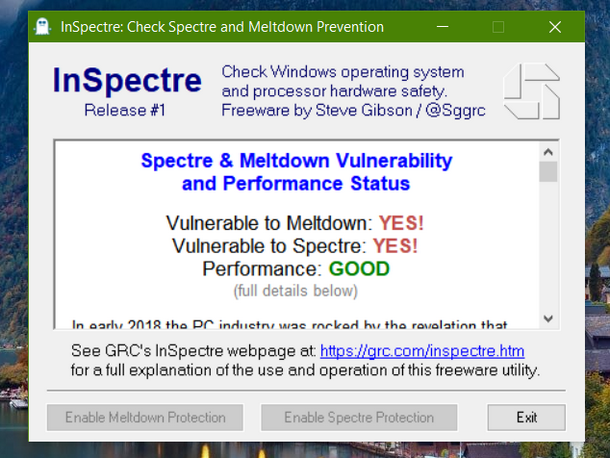 You can download SpecuCheck and check your system state of update against Spectre and Meltdown. You are secure until you know you are hacked. Or You are not hacked until you know you are already.